Hydrofracking or hydrofracturing is the process which can increase the amount of water you have in your well. Basically, if the well in your yard is currently dry and it doesn’t feature a lot of water resources then you should take advantage of the hydrofracturing process which has an efficiency of up to 98%. This procedure is much quicker and cheaper than building a brand new well in your property and it can be performed with little to no effort by the experts. Here is how hydrofracking works. Once the depth of the well and the water levels are measured by the professionals, the packer mechanism is then lowered deep in the ground, reaching about 40 feet under the well pipe. Afterwards, almost a thousand gallons of water are pumped into the well at a very high pressure. The water is pre-chlorinated first and this task is performed in order to create a pressure change into the well. The packer will do a similar job at 100 feet deeper in the ground in order to flush the well and restore proper water flow. Afterwards, the well pump will be reinstalled and the water will be pumped out from the well for a couple of hours as a final step of this process. 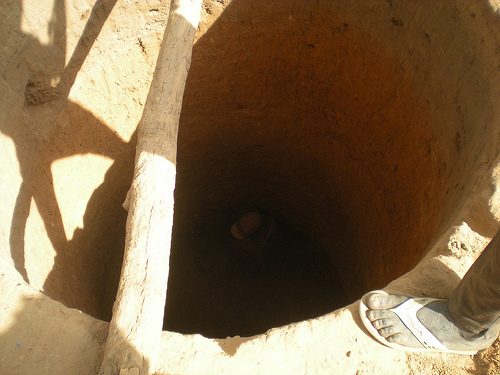 After a couple of days, the well will be checked again in order to find out if the water flow has improved. How long does the hydrofracking process takes? The duration of the hydrofracking process depends on the size of your well and several other factors, but in most cases you might be happy to know that this procedure takes only a couple of hours. Additionally, you will also have running water in the same day and you can use your well normally with little to no effort. Why should you request a hydrofracking service? A well is not out of water in most cases and thanks to the hydrofracking process, you will be able to take advantage of your own personal water supply for more years from now on. This means that you can water your plants, wash your car, satisfy your thirst and wash your window blinds, for example, with water coming from your well. You will not have to spend a lot of money on your water bill in the long run and you will have running water in your house 24/7 as well! Besides, hydrofracking can save you a substantial amount of money because you don’t have to build another well in another place in your yard. If you think that this type of service is useful for you then make sure that you call us today and we will share details about the hydrofracking process and its benefits. Our specialists will also come to your house and assess the state of your well in order to apply the correct hydrofracking procedure.